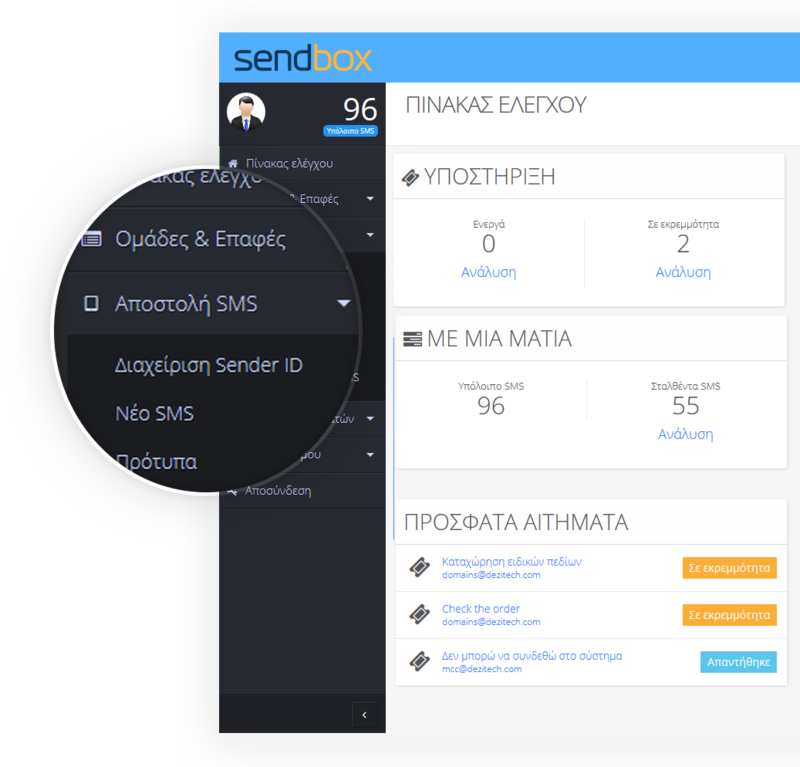 SendBOX is a tool to send from the simplest to the most complex professional SMS. It's really easy! We have created a modern user interface with the rationale of having all the tools in front of you in a simple and comprehensible way. You can send your SMS in 10 seconds! The powerful sender delivers all SMS within a few seconds with a delivery report for each one separately. The very good prices have prompted me to use sendbox.gr. The SMS is delivered immediately and the service is perfect!!! Try our platform. It's FREE!! !